Many take a walk towards the back of the lake. The trail is well kept and flat, and this is the minimum you should do. 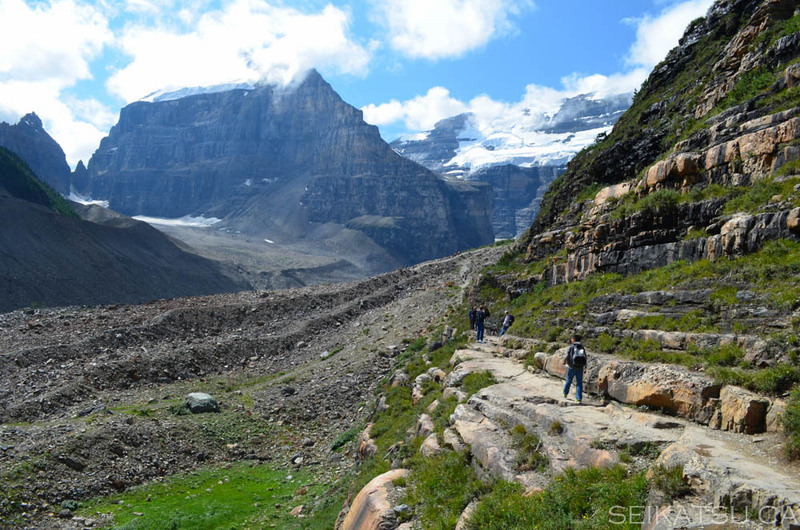 From the back of the lake, you can continue on The Plain of Six Glaciers Teahouse Trail. 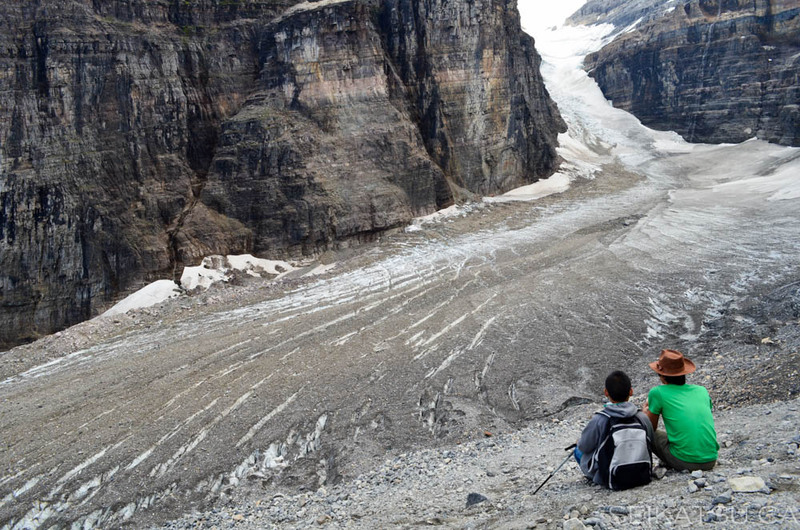 This is one of the best hikes in Banff, and rightfully so. It’s not a particularly difficult hike, with a slight change in elevation as you head towards the tea house. It can get busy, but it’s still worth it. Once you get behind the lake, fantastic views open up. Make sure you come prepared for a six hour or so hike, including stops. Eventually, you’ll reach the tea house around 2 hours in. There’s no electricity there, and everything is cooked with propane or wood. After the beginning of the season, all food is carried in, and everything is cooked there. This makes it surprisingly rustic, and somewhat astounding, considering how many customers they serve. 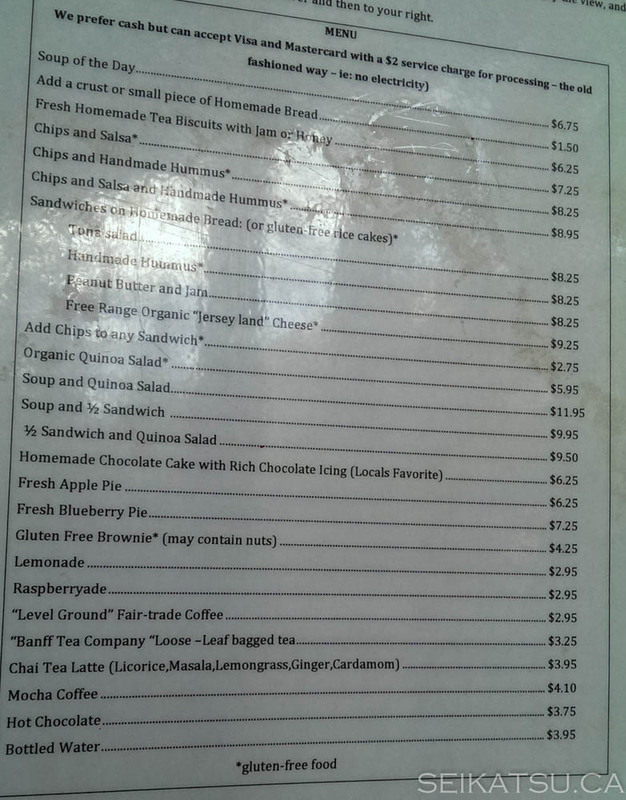 Funny enough, the prices for food, coffee, and tea at the Tea House is cheaper than the cafe in the Chateau Lake Louise. 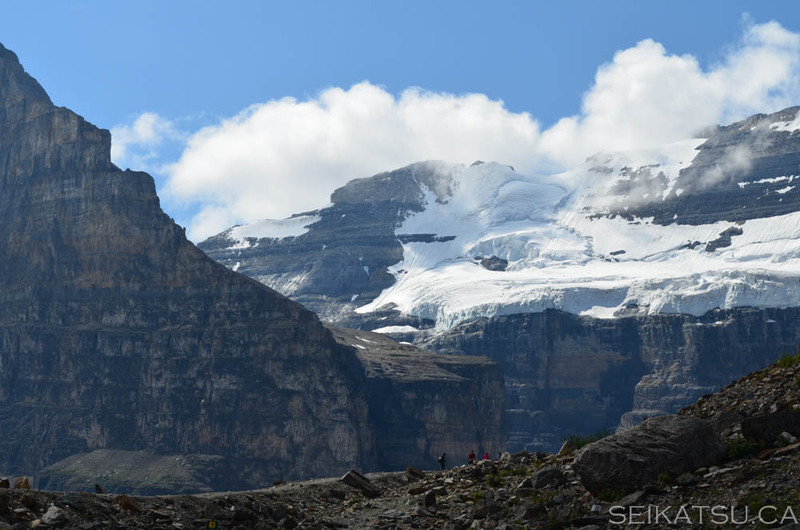 Here is some interesting information from the menu: “You have hiked to an elevation of 2100m and a total of 5.5km from Lake Louise. 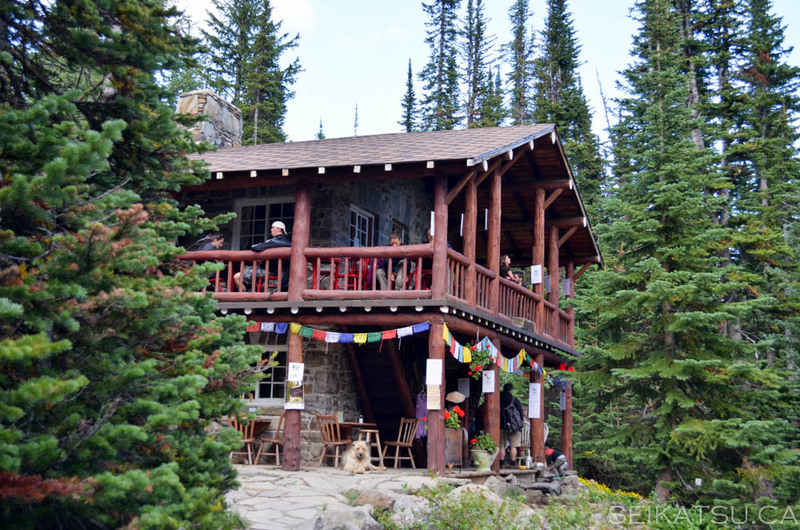 The Tea House was originally built in 1927 by two Swiss Guides for Canadian Pacific Railway. Joy Kimball bought it in 1959 and it has been run by her family ever since. There is no electricity and the food is made here fresh each day on propane stoves. (We are not a gluten-free or nut free kitchen although we do offer a few gluten-free items). The raw supplies (flour, sugar, etc.) are helicoptered in on only one day of the entire season. Fresh raw supplies are trucked from Calgary and either pack-horsed up or carried in by staff every day. Staff live here five days a week and hike in and out on the same trail as you. Wood, paper and paper cups are recycled for fueled for the cabins and Tea House. We try to minimize our environmental footprint by using eco-friendly products and have a grey water system. We try to make our prices reasonable, but some things are a little more expensive due to the extensive work and transportation costs. We chose to picnic instead. Here’s the panoramic view from our spot. If you have the time and the ability, make sure you rest up and hike out another hour or so to the stunning Abbot Pass viewpoint. It’s well worth it. As you can see, many children make it out to the pass too, so it’s not incredibly difficult. 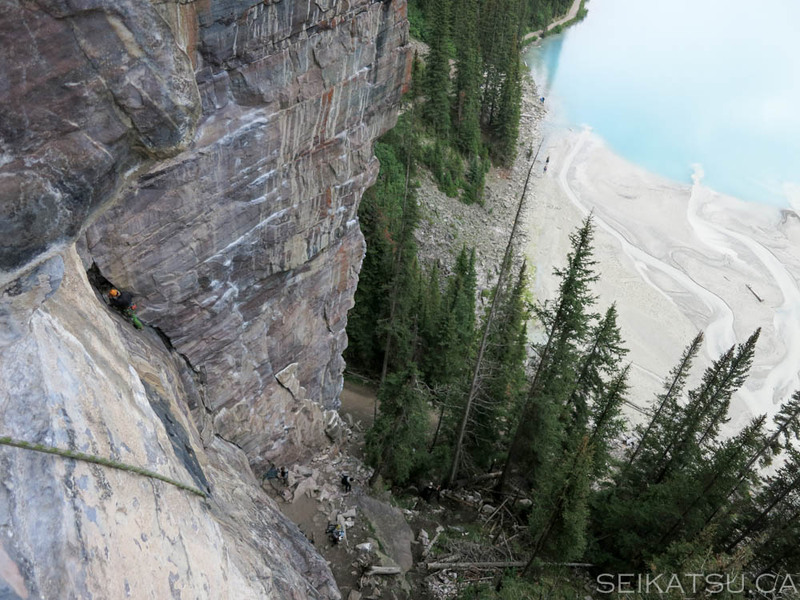 The back of Lake Louise also has many rock climbing routes. We’re an adventurous crew and definitely took notice. The day after, we packed our gear and climbed some of the sport routes. 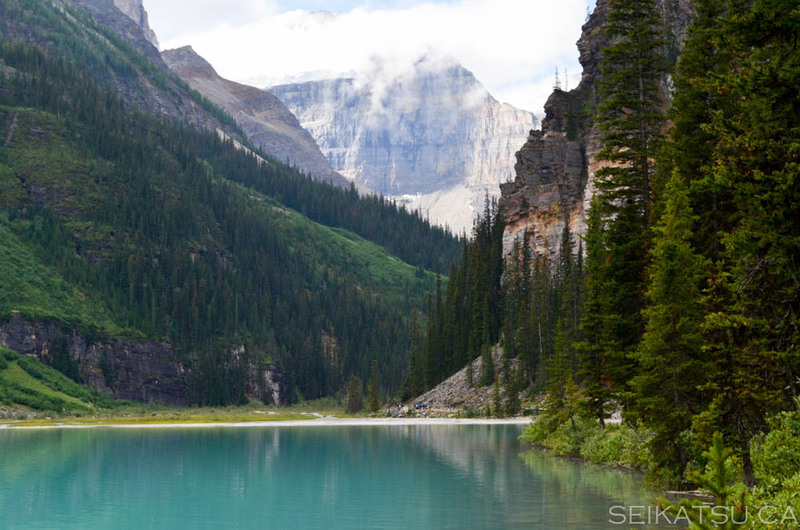 This particular view of Lake Louise from the back is incredible, and not something many people get to see. We’re happy to share it with you. 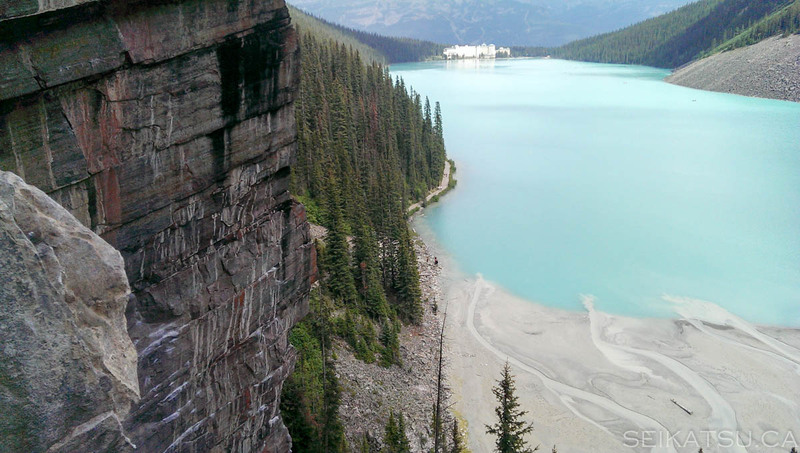 Feel free to peruse the gallery for more photos of some of Lake Louise’s great adventures!